The author writes that Quranic verses taken out of context and therefore misinterpreted are used as a pretense for Muslim hatred of Jews. The writer, an influential Turkish writer and publicist in the Muslim world, wrote the book Wisdom and Sound Advice from the Torah, available in English, Turkish, Azerbaijani and Hebrew. His articles have appeared in global media including Huffington Post, Moscow Times, Kyiv Post, Ynet News, IsraCast, New Straits Times, (Malaysia), Jakarta Post, Straits Times (Singapore), China Post, Malaysian Insider, Al Quds Al Arabi (London), Makkah Newspaper, Gulf Daily News, Al Arabiya, Tehran Times, Iran Daily and others. It is clear to anyone that our world is in dire need of peace. Any contribution to peace, small or large, will be extremely valuable. For this reason, I believe that clearing a major confusion about how the Quran-abiding Muslims really see Jews is of paramount importance. For decades now, regrettably certain religious authorities in the world, especially in Muslim areas in and around Israel disillusioned by erroneous explanations derived from traditions, superstitions, and fake hadiths (Prophet Mohammed’s sayings), created an image of Jew-hating Muslims. They even went as far as making absurd claims that Jews descend from pigs. (Our Jewish brothers and sisters are surely beyond such remarks). It is crucial that Muslims and non-Muslims alike become aware that such an approach and attitude is purely non-Quranic, untrue, not to mention disrespectful and downright racist. As a matter of fact, Prophet Moses is the most mentioned Prophet in the Quran. Torah, Prophet Moses and the righteous Jewish people are praised in multiple verses throughout the Quran. In the three verses that radicals try to use, either knowingly or due to lack of information, God is condemning the transgressors from the Jewish communities of the time that defied the orders of God. In these verses, those transgressors that caused trouble for the pious Jews are condemned through metaphorical expressions that compared them to pigs and apes. It should be noted that there are many verses where transgressing Muslims are condemned in similar ways in the Quran. Therefore taking these verses out of context and trying to apply it to a whole group of people that God wants Muslims to love and protect is a defiance of the Quran (Quran is beyond that), and a blatant display of racism, which is strictly banned by Islam. Now let’s look at the verses in question and see why such an approach is unacceptable. First and foremost, Muslims love and deeply revere all the Prophets, and Prophet Moses is a very beloved messenger of God for Muslims. In addition, Muslims accept those parts of the Torah that are in compliance with the Quran. The Quran has a self-explanatory beauty and in some cases one would need other verses to understand a verse. For this reason, singling out a single verse by taking it out of context might lead to very erroneous conclusions. This is exactly what is happening with the verses in question. As the verse itself makes it very clear, this condemnation is for the deviator and transgressors that ignored the orders of God. However, once again it is preceded by verses that make a clear distinction between the righteous ones and the transgressors. In the verse 164, God mentions about Jews who persistently warned that transgressor community, calling them to the truth. The last verse used by the radicals once again refers to the offenders that disobeyed the orders of God. Our Lord, after praising righteous people among Jews and Christians in the 62nd verse, condemns the transgressors who broke the Sabbath in the 65th verse. These verses make it very clear that, such condemnation applies only to those that defy the orders of God. As one reads the Quran in its entirety, it will become plainly clear that there is no adverse viewing of the Jews, on the contrary, pious Jews are praised by our Lord in many verses where He reveals that He will give them a great reward. Indeed, Prophet Mohammed was a great example with his loving, embracing attitude towards them and with his Medina Document, the first written constitution in history that guaranteed the lives, beliefs, honors, and rights of Jews and considered them as the brothers of Muslims. We hope that Muslims all around the world abandon hostility towards Jews with the pretense of justification having a religious background. Our Lord wants us to love and protect our brothers from the People of the Book. We cannot allow ourselves to be swallowed by anger and hatred when our religion commands us the opposite. We should keep in mind that the mistakes of few cannot justify hostility towards an entire society and especially not on non-existing religious grounds. 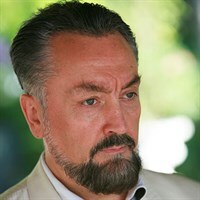 Adnan Oktar is an influential Turkish writer and opinion leader.